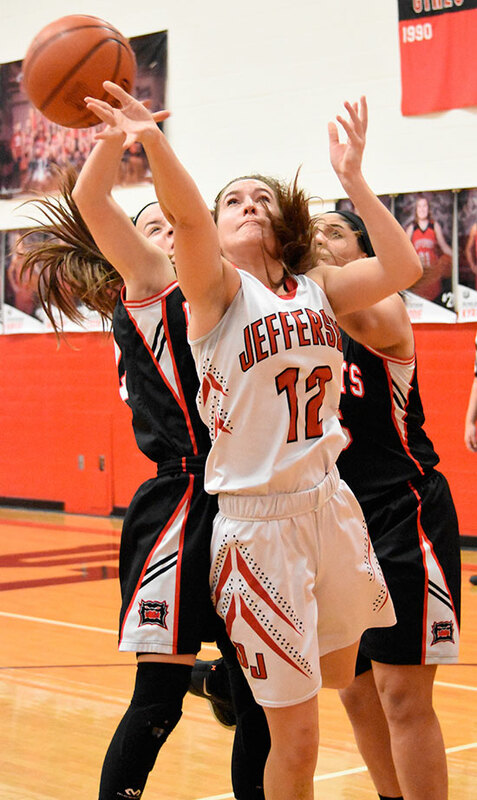 DELPHOS — The Lady Bearcats came away with a big conference win Thursday night when they defeated Jefferson . 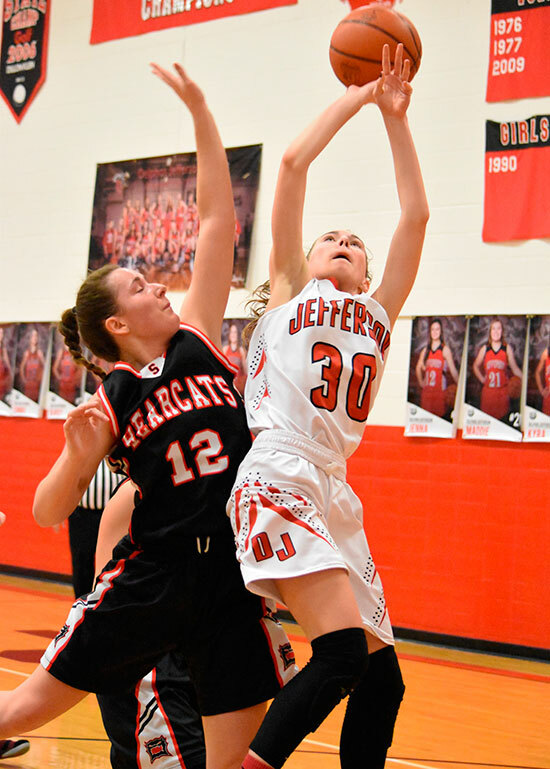 Alex Carter of Spencerville led all scoring with 23 points and helped push her team past the Wildcats 56-37. The Bearcats jumped out to an early lead and never looked back. 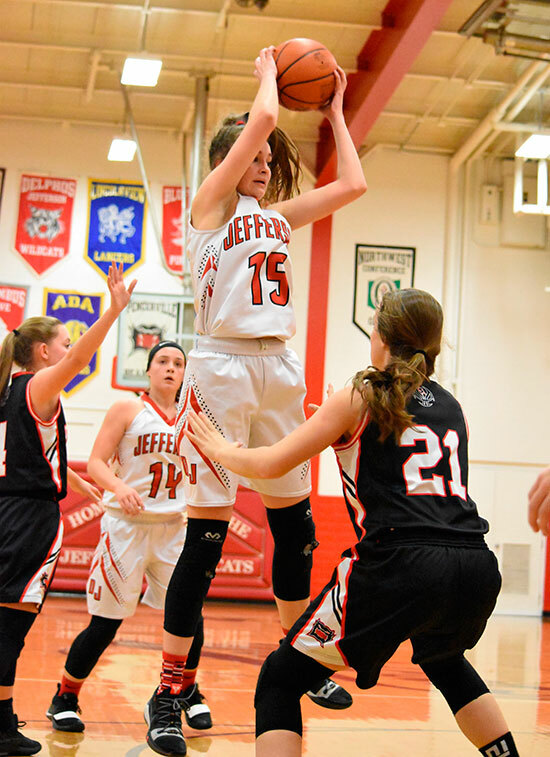 Carter pounded the paint and accounted for eight of Spencerville’s first 10 points and forced a Lady Cat timeout with a 10-2 advantage. 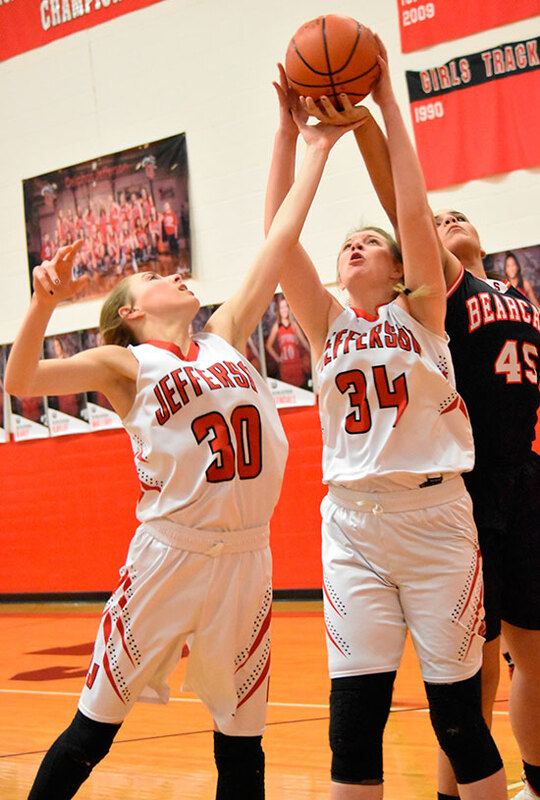 Jefferson appeared to get things on track with a pair of three’s by Kaylee Buzard but a bucket by Carter near the end of the quarter gave the Lady Bearcats a 20-10 lead. 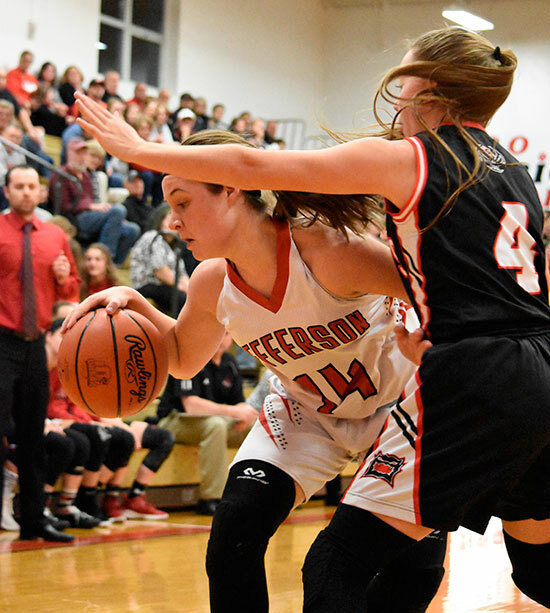 Spencerville continued to dominate down low but also received help from Nelaya Burden who nailed a triple from the right-wing. She finished the game with 14 points. 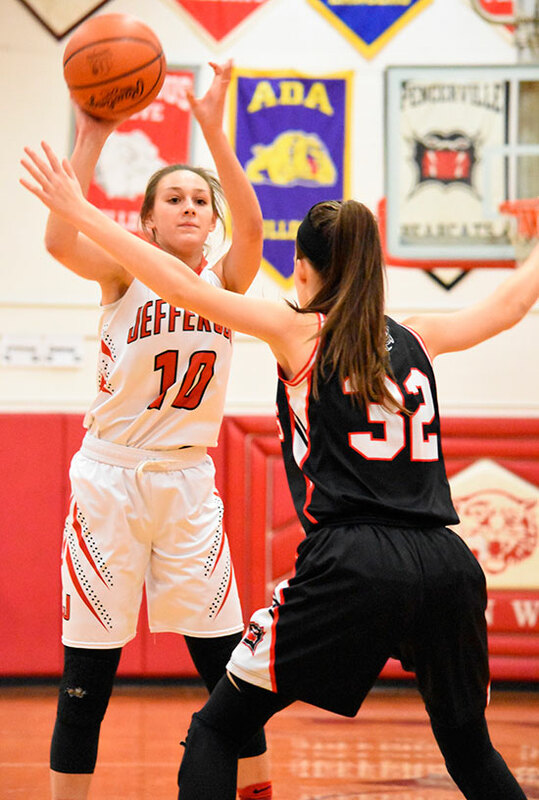 A shot by Emma Leis missed the mark at the buzzer and left the score at 29-19 heading into the locker room. 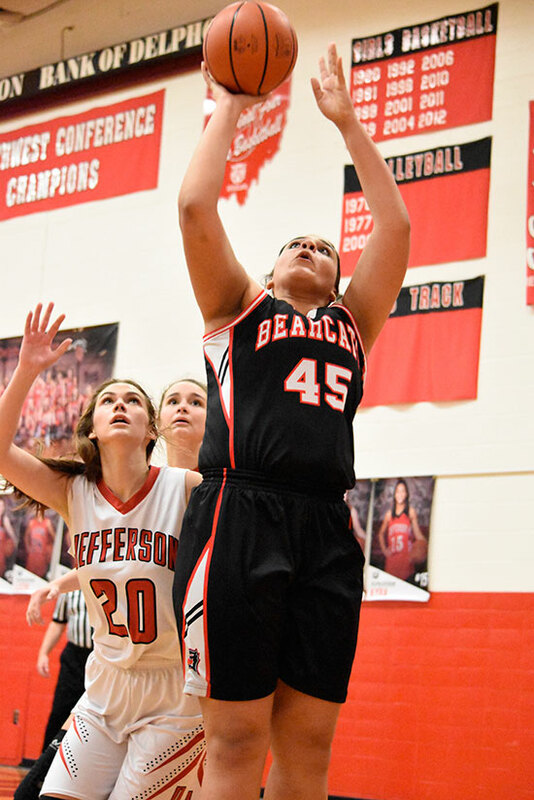 Burden and Leis lit it up again from downtown in the third to bring the Bearcat lead to 41-23. 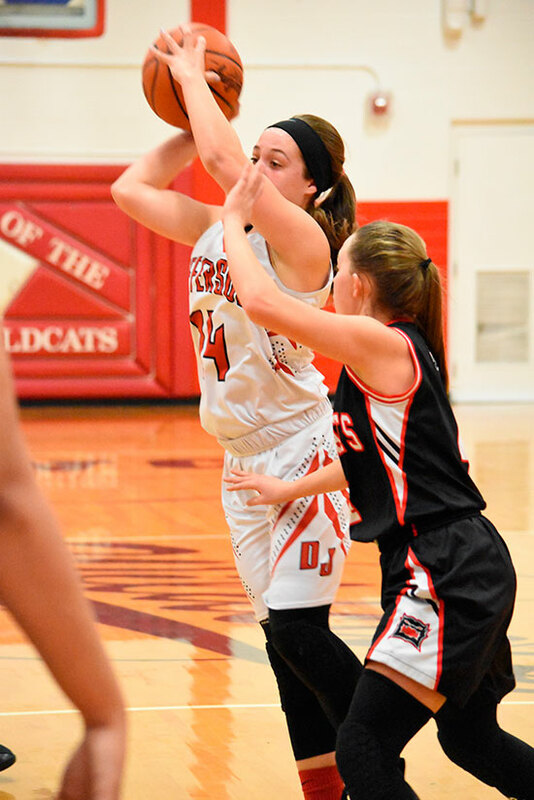 Buzard went 2-for-2 from the line to close out the quarter as the Wildcats faced a 41-26 deficit entering the fourth. Buzard nailed a three to open the final quarter and cut the lead down to 12. She finished the game with a team high 13 points. 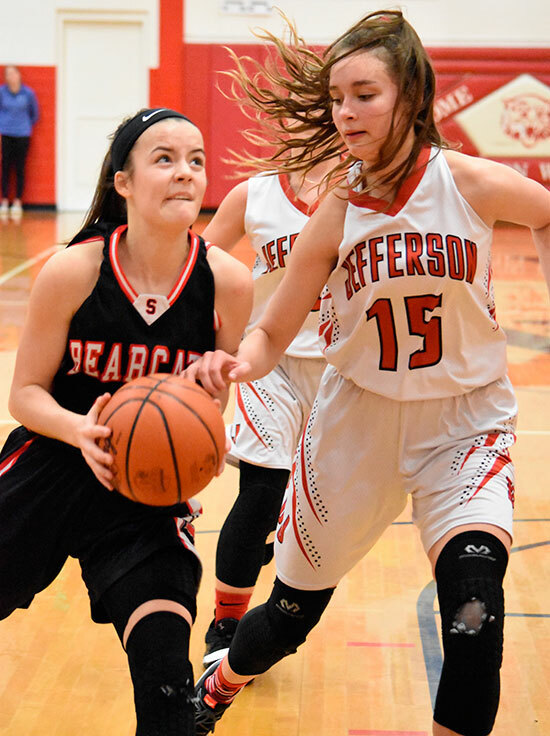 Spencerville continued to pull away as the reserves entered the game and held on for a 56-37 victory. 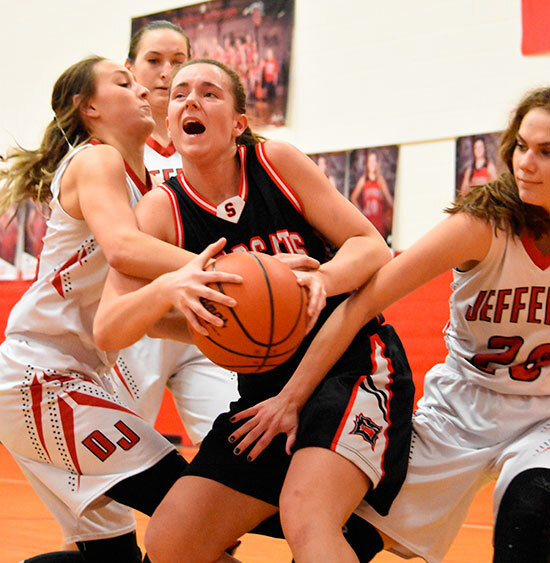 Jefferson slips to 7-12 (2-4 NWC) while Spencerville improves to 15-4 (6-1 NWC).